The Cleveland police officer who shot and killed unarmed, 12-year-old Tamir Rice in 2014 said that he was in fear of his life. For some, a new study may explain the deeper reasons for Officer Tim Loehmann’s fear. Researchers at the University of Iowa found that people who were shown a black face first would more easily misidentify toy guns as weapons – even if the face was a child’s. The study also showed that actual guns were assumed to be toys more often after the participants were shown a white face than after seeing a black one. A 2014 study published by the Journal of Personality and Social Psychology addressed the perceptual bias issue that Anderson raised. Researchers found that black boys are more likely to be seen as older and guiltier than white boys – and, if accused of a crime, are more likely to face police violence. Is that what happened with Tamir Rice? Was his fate set by deeply buried biases about his capacity for criminality due to the color of his skin? Was it easier for Loehmann to see a toy gun as a lethal weapon because Rice was a black boy? The Iowa study strongly suggests the answer to these questions are “yes.” White college students were asked to describe objects and words as either threatening or nonthreatening after being shown images of people of different races and ages. Not only were they more likely to consider the objects as threatening if shown images of black boys – whether or not the objects actually were threatening – they also were more likely to associate words such as “hostile” and “violent” with the faces of black boys. Supreme Court rulings have concluded that if such reactions from police officers result in fatal shootings, they can be considered “objectively reasonable,” even if it means that unarmed black boys are shot and killed. Prosecutors such as Tim McGinty of Cuyahoga County, Ohio, seem to agree. McGinty convened the grand jury that declined to indict Loehmann for killing the unarmed Tamar Rice. But diversity experts such as Anderson see such perceptions of black boys as lethal threats to their survival, perhaps nearly as dangerous as being shot by a police officer. Anderson believes that supportive parents and mentoring organizations can help prevent a child from taking this path – or help rescue one who already has. As for the adults who would stereotype black boys as criminals, Anderson says they need to challenge their own belief systems. And maybe what that requires is a bit of grace, which best-selling author Philip Yancey fears has disappeared from our society – especially when it comes to discussing the topic of race. 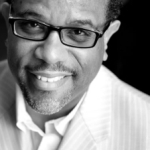 Yancey, who wrote the Christian classic What’s So Amazing About Grace and 2014’s Vanishing Grace, grew up in Atlanta during the civil rights era. This grace applies to people of all races, and of all mindsets about race. It offers the ultimate answer to the benign evil of bigoted fears, fatal stereotyping, and every other human weakness. Previous articleConfidence Boost: God Is Listening To You!